Handpicked Candid Wedding Photographers in Chandigarh Known for their Brilliant Captures! What is a wedding album, we think? It is a storybook, that tells us about two people, their love, their families and how the most special day of their life came about. When this story unfolds what one witnesses is a burst of priceless, happy and emotional moments. Candid wedding photographers are the wedding ninjas who are all over the venue secretly capturing those emotions and rituals in the most artistic manner so that this storybook remains the most important one on your shelf for generations to come. We all know of all the grand and beautiful weddings in Chandigarh, which also means that the best candid wedding photographers in this city have their calendars blocked months prior to the actual shoot. We’ve handpicked four such photographers for you whose clicks have made us deeply fall in love with the idea of weddings. We guarantee, these will make you trip emotionally too. 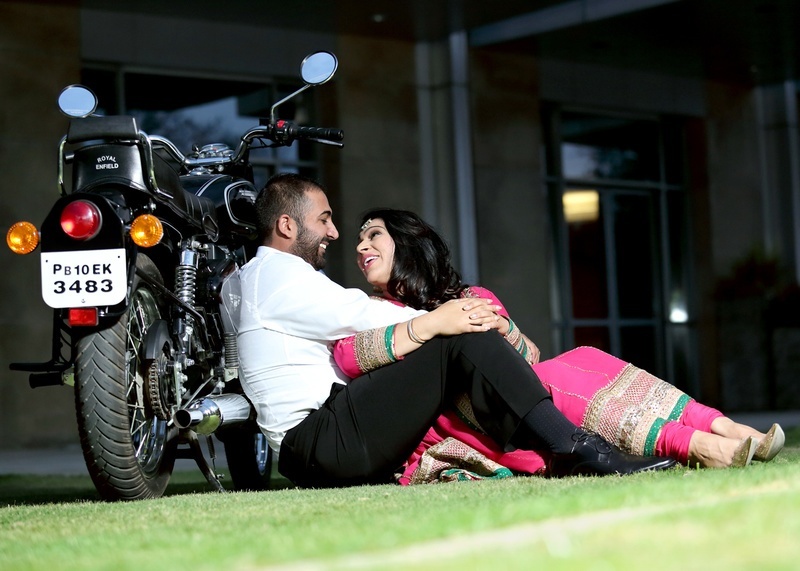 Scroll on to see what these candid wedding photographers in Chandigarh have to offer. Art Capture Productions, based in Sector 48, Chandigarh, is your go-to photographer for wedding photography. The talented team of candid wedding photographers in Chandigarh capture all the candid moments of your big day and make your wedding album a thing to be cherished forever. The company is jointly handled by husband and wife having over 10 years of experience in the Entertainment Media and Art Industry making them the coolest photographers to deal with. The Wedding Delight, based in Sector 20, Chandigarh offers beautiful wedding packages for every type of wedding. The talented team of candid wedding photographers in Chandigarh are also experts in creating gorgeous videos of the special day to make it even more memorable. Their work speaks for itself. Each moment in a frame is captured beautifully with utmost love and professionalism. If you’re seeking a creative wedding album, The Wedding Delight will not disappoint. Claiming to be “story tellers” and not just mere wedding photographers, Procolor has a legacy of over 39 years specializing in high end candid wedding photography in Chandigarh. Their team of experienced professionals ensure every precious moment they capture makes you relive them each and every time you see the images. Offering each couple with wedding photographs that are immortalization of love, promise, togetherness and happiness, you know you’ve found your dream photographers in Procolor. If you’re looking for a one-of-a-kind candid wedding photographers in Chandigarh, Perfect Pixels Production is an exclusive production house offering end to end photography and videography services for every event, personal or professional in their own fun, frolic and unique approach. Their expert eye behind the lens captures all your unconscious moments in the most serene manner possible. Their unique bend to photography and unusual angles makes every frame stand out from the other, making hard for you to pick a few favourite images from your wedding album.